The Chinese-American Planning Council (CPC) is partnering with JPMorgan Chase (JPMC) for an exclusive Speaker Spotlight Series in JPMC Midtown Branch! 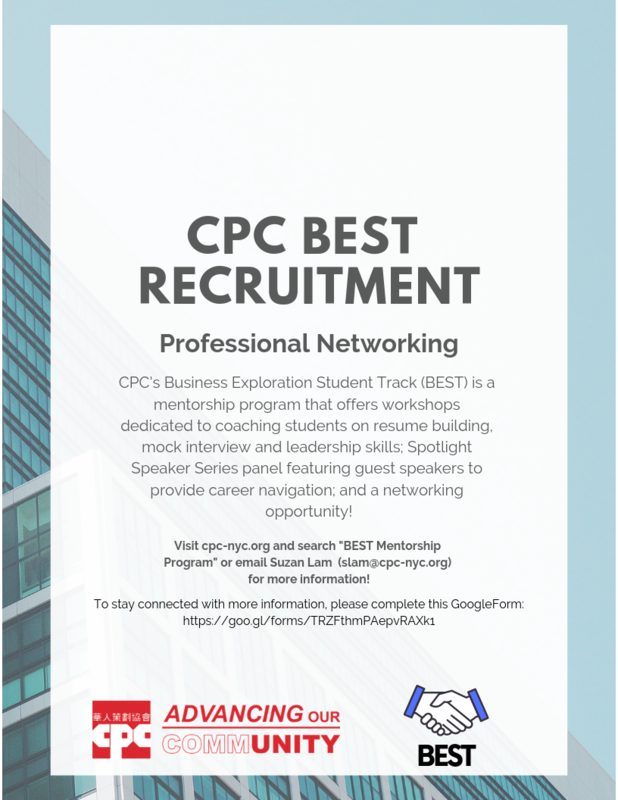 On April 19th, 2019 from 5 PM to 7 PM, community members have the opportunity to participate in a resume workshop, Speaker Spotlight Series panel and network with volunteer mentors! 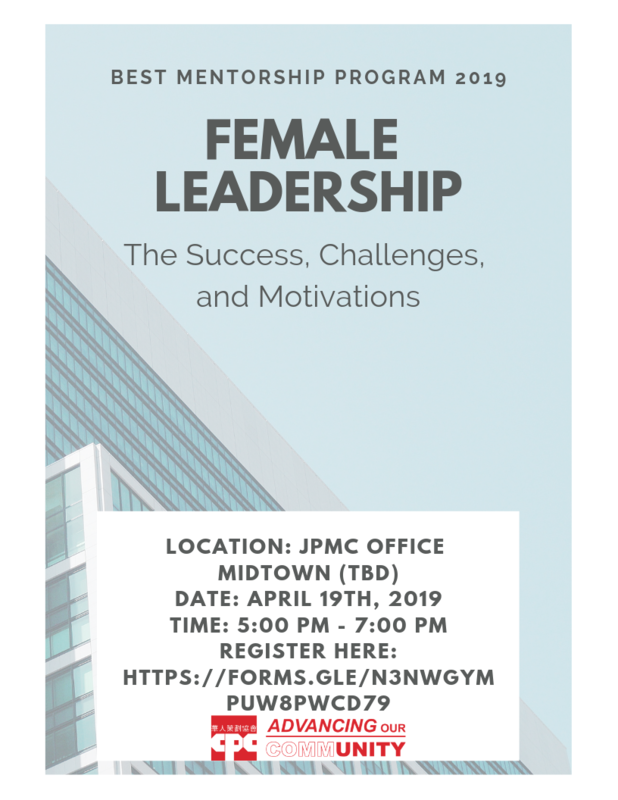 This upcoming event, "Female Leadership: The success, challenges and motivations", will be a speaker spotlight series panel featuring women executive leaders who would like to share their knowledge, experience and expertise to motivated community members. Community members may submit questions for a Q and A session in advance or ask questions after the panel. 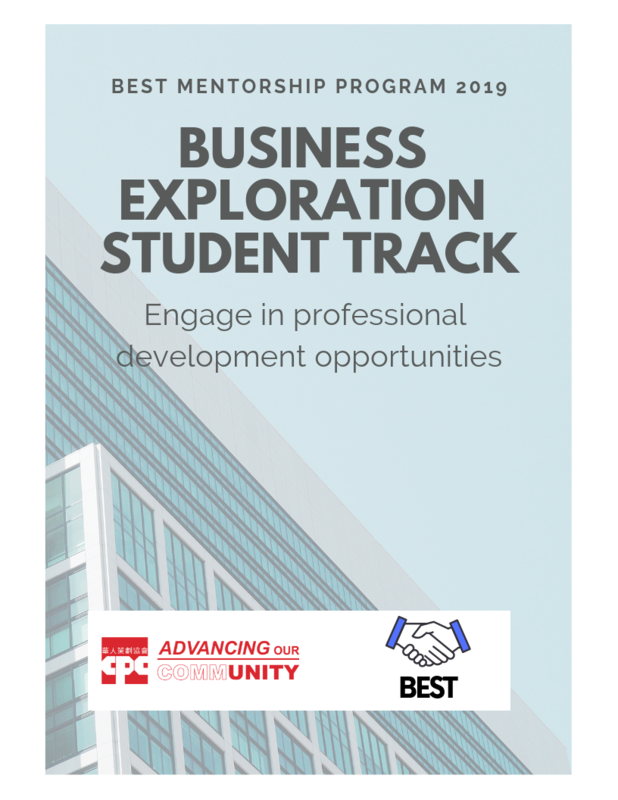 Please note; community members must dress business casual/professional, bring copies of a resume and take the opportunity to network with individuals! If you are interested in attending this event, please complete this form and submit any questions! [Space is limited]. If you have any questions, please e-mail Suzan Lam at SLAM@cpc-nyc.org. For more information, please visit our website at www.cpc-nyc.org and search BEST.